Sexist hate speech is any kind of expression that aims to humiliate and objectify women, to destroy their reputation and to make them vulnerable and fearful. It is a form of social shaming, spreading the message that the woman is not a full human being. Every day girls and women all around Europe experience sexist hate speech online. 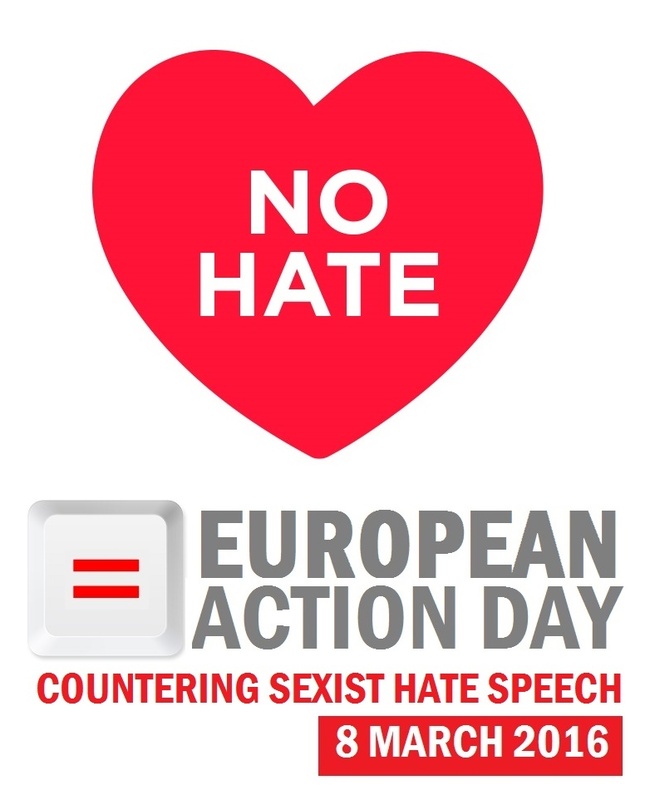 Responding to that, the No Hate Hate Speech Movement announced 8th of March a European Action Day countering Sexist Hate Speech. Between 6-10 March the Movement will share those video messages that are made by young people about their experience, their opinion or their fight against sexist hate speech. 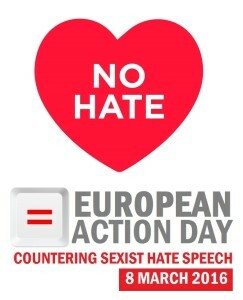 Several online and offline activities will be organized by the partners and activists of the No Hate Speech Movement all around Europe – to raise awareness about scope and harmful impact of sexist hate speech, to share counter narratives and messages of solidarity and to empower young people to counter sexist hate speech and speak up four Human Rights. In the framework of the European Action Day Against Sexist Hate Speech the Movement is inviting young people, young activists to make a short video message. You can share your message about the moments, when you personally were targeted or witnessed sexist hate speech. You can also make the message about what you think and feel about sexist hate speech online. Sexist hate speech can be found in online gaming, in online advertising, in social media and in online journalism too, as the Internet allows perpetrators to have the illusion of anonymity and impunity. Recent studies show that sexist hate speech has serious social, psychological and economic consequences for the whole community. It affects all of us. Nobody is protected from it. If you think that you are alone – you are not. Your message and stories might help someone to stop silence and speak up! The video message should NOT be longer than 1 minute. You can record it through your computer or mobile phone but please make sure that your voice can be heard properly (so try to find a very quite place for recording). The message should be in English or in French, but you can also speak in any language, just please attach the English translation too. Please, send the link to your video message in a message to No Hate Speech Movement Facebook page or to nohatespeech.movement@gmail.com by the 8th March 2016.